Antonio is a passionate and driven individual with several years of experience in the field of social media management. Antonio has worked with several institutions to drive their social media awareness and boost their image in this social media driven world. Antonio embodies perfection, attention to detail, and creativity in all the work that he does. He is very passionate about graphic design, event planning, and working with the VPG team to increase his knowledge even further on the subjects. 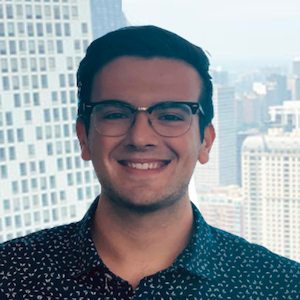 Antonio is currently an undergraduate of Loyola University Chicago studying Business Information Systems and Marketing. When you’re not at VPG, you’re: studying, listening to new music, traveling, and exploring the beautiful city of Chicago.